The hulking Colossus can really deal some damage in Anthem, and is arguably the most powerful Javelin in the game. If it's pure strength and stopping power that you're after in Anthem, then look no further than the Colossus Javelin. In this complete Anthem Colossus Javelin guide, we'll be detailing everything you need to know about the behemoth exosuit, including detailing the best Anthem Colossus build, so you know how to get the most out of the elite suit of armor. But if you instead need any information on the wider game of Anthem, you’ll want to head over to our Anthem guides hub. Here you can find a complete story primer on everything you need to know going into the game, as well as a walkthrough of the three additional Javelin classes in the game. As you can probably tell from the image of the Colossus just below, it’s the heavy hitter of the Javelin classes in Anthem. It’s not as agile and sleek as the Interceptor Javelin, for example, but it has the added bonus of being better protected with thicker armor, and some incredibly powerful weapons. As with every Javelin type in Anthem, you’ll have two primary weapon slots that you can experiment with. You can equip multiple different types of weapons into these two slots, and the Colossus is the only Javelin in Anthem that can equip heavy weapons like flamethrowers and rocket launchers. Every Javelin in Anthem has an exclusive melee ability, and the Colossus is no different. The ‘Heavy Smash’ ability lets the Colossus slam down from the air onto the ground, eliminating any smaller enemies underneath it, and knocking down larger ones, leaving them temporarily open to attack. High explosive mortar - Launches a single explosive that deals high area-of-effect damage. Burst mortar - Fires off a small volley of mortar rounds that deal damage over a wide area. Firewall mortar - Fires a mortar that puts up a wall of fire on the battlefield, dealing damage to enemies that attempt to move through it. Lightning coil - Hits one random target in front of the Colossus with an arc of energy. Shock coil - Sends out a single wave of energy from the Colossus, damaging all nearby enemies. Heavy cannon - Fires a single large rocket in a targeted direction. Flamethrower - Sends out one continuous stream of fire that burns enemies. Flak cannon - Shoots off an arc of short range projectiles at multiple enemies. Railgun - Shoots one high damage laser against a single target. Acid spitter - Fires a single acid projectile that continually damages enemies. Taunt - All enemies within a specific radius focus their attacks on the Colossus. Deflector Pulse - Provides all nearby teammates with a buff to damage resistance. 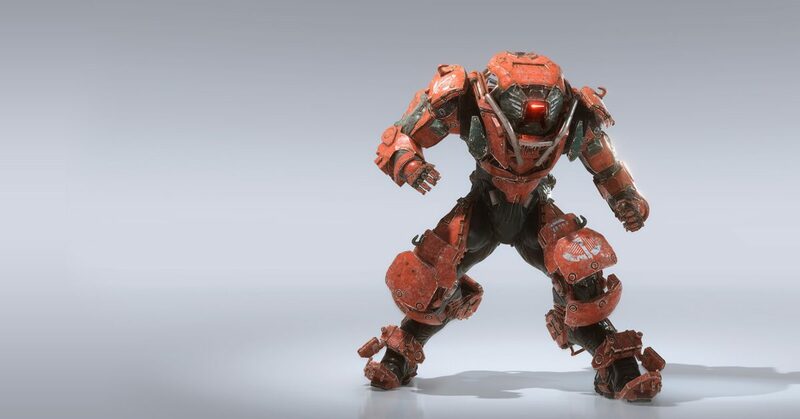 The Ultimate Ability for the Colossus Javelin in Anthem is called Siege Cannon. The Colossus equips a large cannon and fires it up into the air, unleashing multiple projectiles onto a single area of the battlefield for a devastating effect. As your Primer, go for the Flamethrower. It is perfect for large groups of enemies, dealing burn damage while potentially killing weaker ones. To detonate, use the Lightning Coil. It does electric damage and is very easy to control. The key to staying alive in the Colossus is keeping an eye on health and shields, making sure you are regularly grabbing health packs from downed enemies. With this in mind, we recommend the Shield Pulse, which will allow you some time to retreat and heal if needed. In terms of components, go for Structural Reinforcement and Guardian Insignia. This combo will ensure your shields hold strong, and that your Support abilities are bolstered. We might now be all done with this guide to the Colossus Javelin in Anthem, but there’s plenty more to come yet on BioWare’s next game. You can now head over to either our Anthem Ranger Javelin guide, or our Anthem PC requirements guide for more.